Playing a Double Stroke Roll is super easy – at least for Jason Sutter. Although known for his rock drumming, he’s a jack of many trades. Before his clinic in Munich I asked him about his secret roll technique and much more. Anybody can get some sound out of drums. But can just anybody play a clean Double Stroke Roll? Nope. And I used to tell my students that’s a good thing. For if you want to sound good on anything, you need to put in the work. All of my students immediately fell in love with the Double Stroke Roll, when they first heard it. However, when I showed them how to play and practice the king of all rudiments, the excitement quickly faded. Only very few put in the hours and mastered playing the roll. 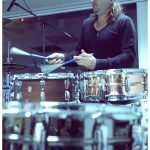 For a long time I’ve been wondering about what’s the best way to learn how to play the Double Stroke Roll. Classical drummers, or those who’ve played a lot of marching drums might know best. I also would like to ask “Mister Magic Hands” about his secret technique for a Double Stroke Roll. 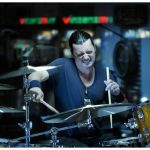 US-drummer Jason Sutter has been called exactly that by Marilyn Manson, who saw him play a rudimental solo on YouTube. Guess what?! 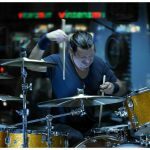 Jason Sutter visited Munich last fall for a drum clinic. Lucky me, I did get a hold of Jason in advance. And even though his schedule was very tight, he made some time for me after setting up his drums at the local music store called Hieber Lindberg. Sure enough Jason told me which percussion instrument he likes best. Furthermore he gave me all the basic info that I’m usually asking all the drummers in an interview. Most noteworthy, Jason shared his thoughts about mastering the Double Stroke Roll with me. And he even demonstrated his little secret technique on a snare drum. 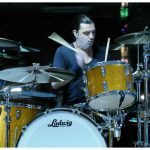 No other drummer legend than Dave Weckl applies it as well. So if you don’t know Jason Sutter at all, watch the video. If you need some input for how to practice the Double Stroke Roll, also watch the video. And if you would like to know some acts Jason Sutter played with, here they are: Chris Cornell, Marilyn Manson, Foreigner, New York Dolls, Smash Mouth and Tak Matsumoto. For a short discography scroll down. playing every gig as if it was the last. 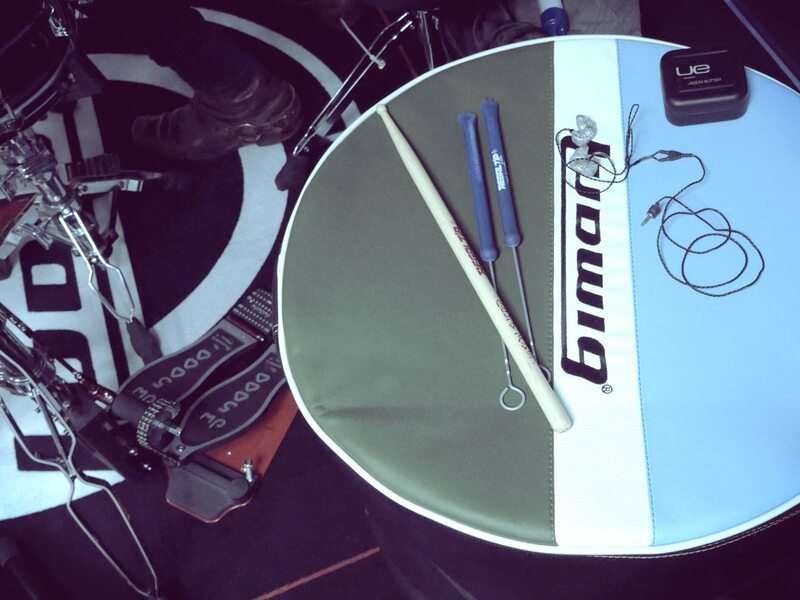 Even though Jason is primarily known for his rock ‘n’ roll skills, his drumming roots are long and wide. As so many drum cats, Jason studied at the University of North Texas – that’s where his marching drum and jazz skills stem from, too. In his clinic Jason stressed the improtance of the willingness to diversify and adapt. Being a freelance musician who enjoys gigging with as many and different acts as possible, he needs to be a quick study. Therefore Jason advises everybody to at first “learn how to learn”. From looking at his biography, Jason must have found out how to learn well. That’s one reason why the man is able to also conduct a clinic on brush playing only. Furthermore he constantly pushes himself in order to grow. 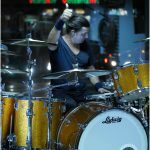 Jason Sutter wants to keep getting better as a drummer and as a clinician. And he wants his audiance to get better, too. Nowadays it’s not a given that a clinician prepares himself for a clinic. Jason nailed his distinct playlongs too, but inn addition he also taught some lessons. He’s on a serious mission. Go see him play live and get infected. Thanks, great Blog. Love it. Greetings from Köln!